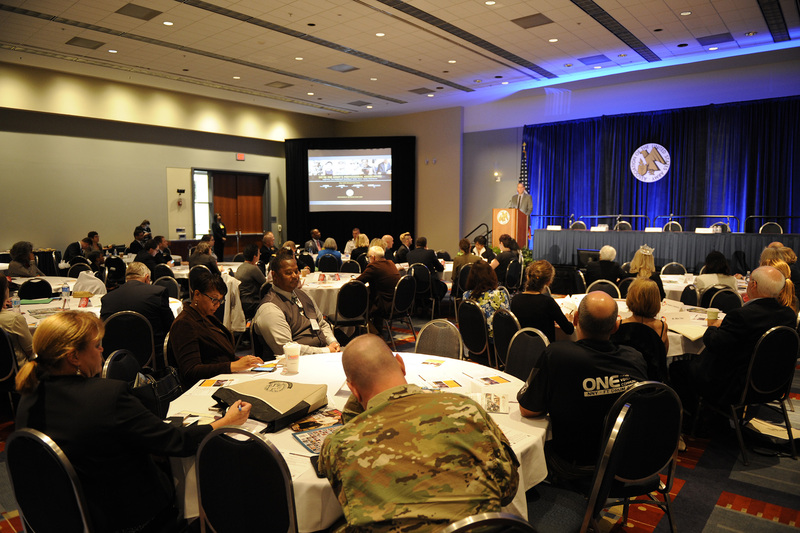 The AUSA Family Readiness Directorate is proud to host three Military Family Forums at the 2017 Annual Meeting. These forums provide a venue for the military and civilian leadership to address Army family issues and introduce new organizations, initiatives and programs. In addition, several other family focused events will be offered throughout the week. Family Readiness Networking Breakfast, Monday, Oct. 9, 7:30 – 9 a.m.
New this year! The AUSA Family Readiness Directorate will host a networking breakfast for Army family members and Army family program leaders just prior to the Annual meeting opening ceremony. If you are an Army Family member, or support Army Families, this breakfast is for you. Cost is $10 per person. Seating is limited to the first 100 tickets sold. For the past 16 years, soldiers and their families have experienced high levels of stress and/or traumatic events that can influence their health and well-being. Many find it difficult to find balance and wellness and do not always know whom to turn to when the going gets tough. The Army and various non-profit organizations have rallied to create programs aimed at increasing resilience and readiness. These programs could be the driving force towards healing. Forum participants will receive an overview of the new Readiness Essentials for Army Leaders (REAL) training. The RAND Corporation will present the results of its Soldier Needs Assessment and discuss their upcoming study focused on Army spouses. Lastly, you will hear from Army senior leadership on the status of Family Programs and interact with a panel of command sergeants major as they share their thoughts on the soldier and family programs and services that enhance and sustain readiness. This popular open forum allows direct interaction with the Secretary of the Army (TBA), the Army chief of staff, Gen. Mark Milley, and Sgt. Maj. of the Army Daniel Dailey. We also will introduce the 2017 AUSA Volunteer Family of the Year. For those individuals not able to attend, AUSA is providing a livestream option for each of the forums. For more information go to www.ausa.org/military-families/family-readiness-annual-meeting-activities. AUSA will host the Family Pavilion in the Convention Center’s Exhibit Hall A. This pavilion features organizations currently supporting military families. Exhibit hours are 9 a.m. to 5 p.m.
IGNITE is a one-day entrepreneurship training event offered in conjunction with the 2017 AUSA Annual Meeting on Wednesday, Oct. 11, from 9 a.m. – 5 p.m. The program is open to women veterans, active duty service women, and women military spouses/life-partners who are exploring the opportunity of small business ownership as a career path. One-hundred seats are available with 30 reserved exclusively for current AUSA members. Participants will be exposed to a robust team of nationally-acclaimed speakers, expert instructors, military-friendly business resource providers and successful veteran women and military spouse entrepreneurs, all prepared to help attendees explore the lifestyle of an entrepreneur, pathways to small business ownership, and the community of support available. We invite you to join us to connect with other women veterans and military spouses/life-partners, network with business resources, and learn if small business ownership is for you. Register here: https://www.eventbrite.com/e/ignite-dc-at-ausa-registration-34296538871.